Chapel No, Prayer Room Yes! Again the Religion of Peace has won another battle in the war against America and our Judeo-Christian values. 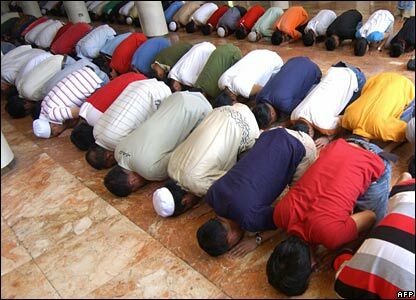 The Mall of America, that bastion of capitalism, has given in to Muslim demands for a prayer room. On the day Muslims around the world began to celebrate Eid al-Adha, Fatuma Mohamed was at the Mall of America (MOA), far away from where she would normally say her prayers. But she and other Muslims needed to take time from the activities of the mall and find a quiet area to pray as Muslims do during the festival that commemorates Ibrahim’s willingness to sacrifice his only son for God. “I said my prayer right at that corner,” Mohamed said, pointing to the spot. Another Muslim, Amran Ali, did the same. Every year, as Muslims in America are compelled to engage in business, work and shopping during the holidays, many find themselves away from mosques and other places where they can hold prayers without interruption. They are forced to seek privacy in corners and alleyways, places that often subject them to unwanted attention. Some Muslims also worry that their repetitive calls of “Allah akbar!” (God is great!) during prayers could be misconstrued as calls for Jihad. So you were stared at. Big deal. And if I heard “Allah akbar!” in my mall, I’d run for the nearest exit immediately. That is what the murderers shouted at Mumbai. Any person these days would do the same. This year Muslim leaders from the Twin Cities area were able to persuade MOA, the largest enclosed mall in the United States, to set aside a room for prayers. “I learned quite a bit from my last meeting with the community,” said Douglas Reynolds, MOA’s security director. 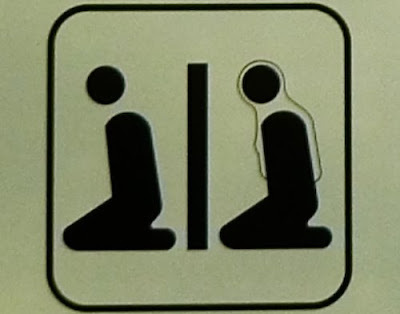 But Mohamed and other Muslims did not know there was a prayer room, even though MOA and Muslim volunteers had intended to have eight posters in three languages, (English, Somali and Arabic) to be displayed at all entrances to the mall. Reynolds said many might have missed the signs because MOA and the Muslim leaders did not advise the community about the prayer room before this week’s observance of Eid al-Adha. The signs also went up too late in the day, Reynolds said. Sheikh Neelain Muhammad, an imam at the St.Paul-based Da’wa Islamic Center, and five other volunteers from the center were among the many volunteers who were at the mall to make sure that day went on without incidents, especially from teenagers. In other words, they had better do the same next time or we will call out Jihad on you. 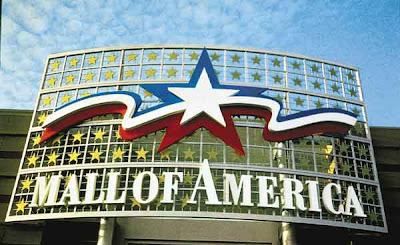 There are many facts about the Mall of America, but they do not have a chapel on their premise. They do have a Muslim Prayer Room though. And do they make accommodations for members of other faiths? Don’t hold your breath. I find that if you are going to make a prayer room for one faith, shouldn’t you make a chapel for other faiths? I am very glad not to live in the Minneapolis/St. Paul area so I don’t have to go to this Dhimmi establishment. If you do live in this area, let them know how you feel about this reverse discrimination they are doing. Let them know that your dollars are better spent at places that don’t cater to Jihad and Terror. Filed under: Dhimmitude, Islam. Cultural Jihad, Mall of America |	Comments Off on Chapel No, Prayer Room Yes!